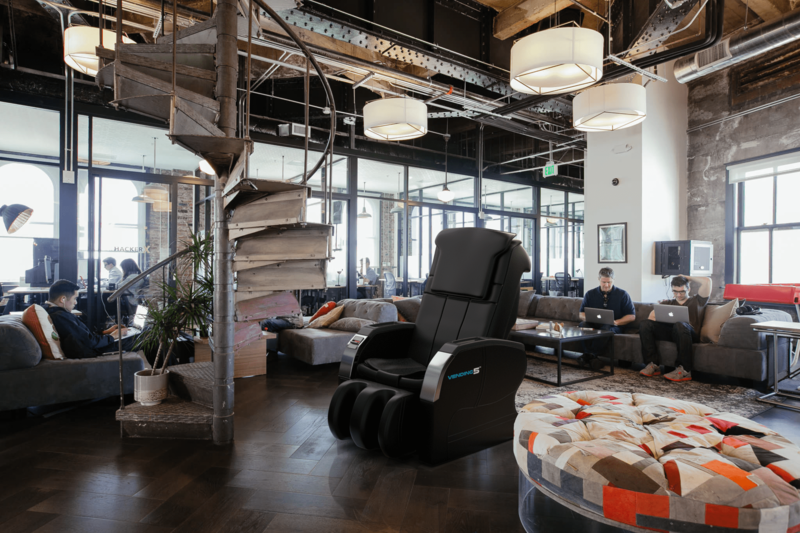 The first massage chair engineered to help fix your posture, reduce pain throughout your entire body, and help you fall asleep. Limit 2 per customer: Any orders greater than 2 will automatically be refunded. Unlike other companies who say they offer FREE shipping, but charge you extra for Alaska, Hawaii, or Canada, we offer shipping everywhere in the USA & Canada completely FREE without hidden fees. 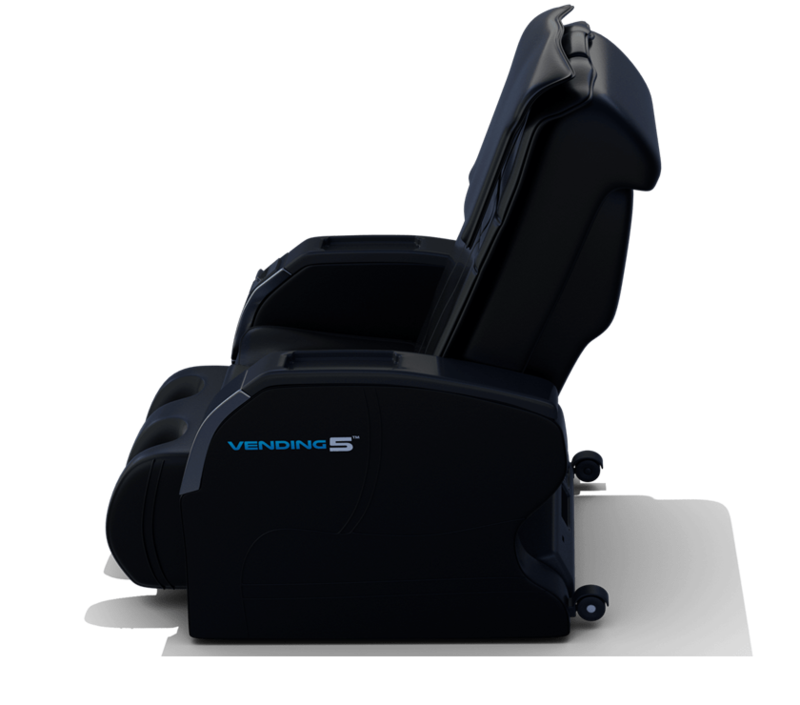 Warranty: All of our chairs come with a 3 year warranty included, and if you have any problems with your chair, we will send technicians to come to your home to fix it completely FREE. The price is heavily discounted for the month of April. Purchase now while prices are still low. Every 2 weeks the price will increase because our supplies are very limited. Enjoy the deals and call us at (818) 210-4955 with any questions you may have. 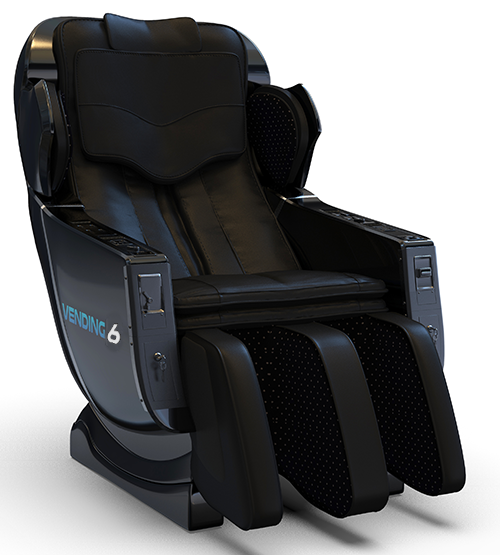 The same massage chairs used in malls and airports across the U.S. Wheels so you can easily move the chair around. can twist your hips from side to side! Runs on its own. The easiest way to make money. 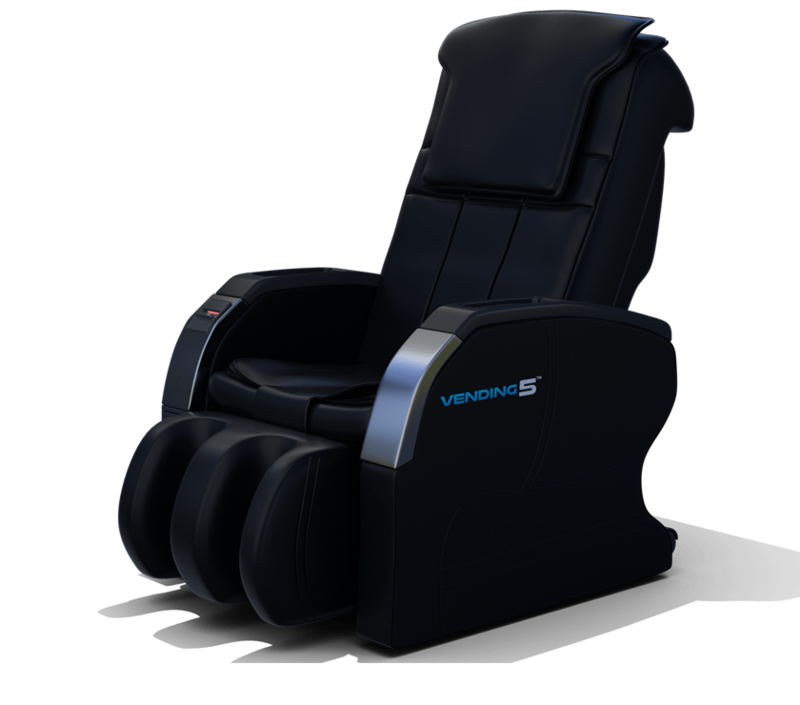 A Medical Breakthrough Vending Massage Chair is the perfect way to earn extra income for your business or property. Unlike running your everyday business, which takes up most of your day and assistance, this takes no effort; Install and collect money. Our chairs are proven to add an extra service that your customers will love. It also gives your business an oppertunity for higher returning customer rates. 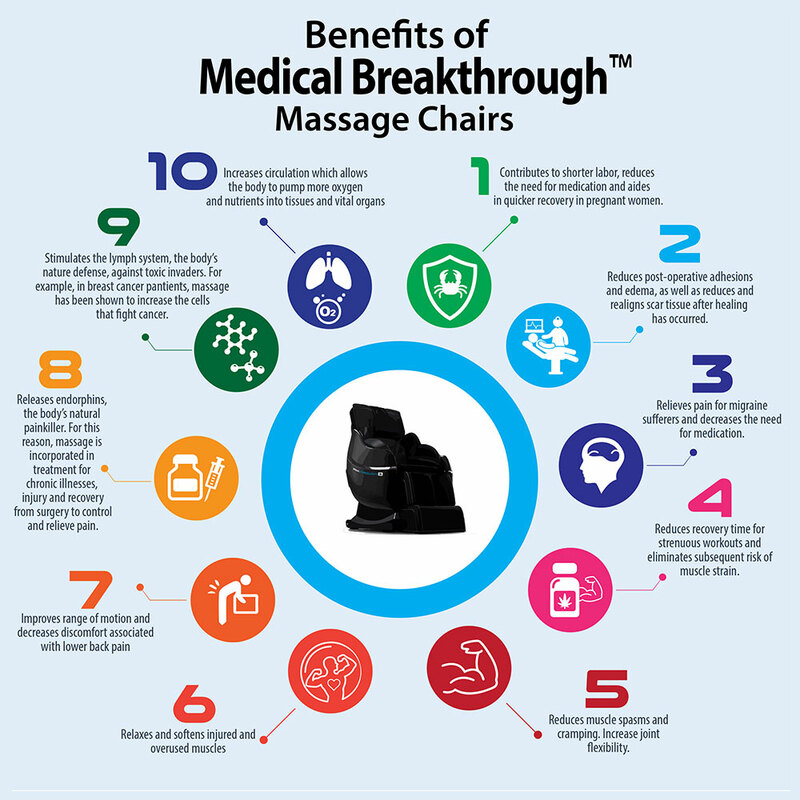 The best part about owning a Medical Breakthrough Vending Massage Chair is that while you provide a relaxing service to your customers, you also earn a passive revenue stream for your company and property. 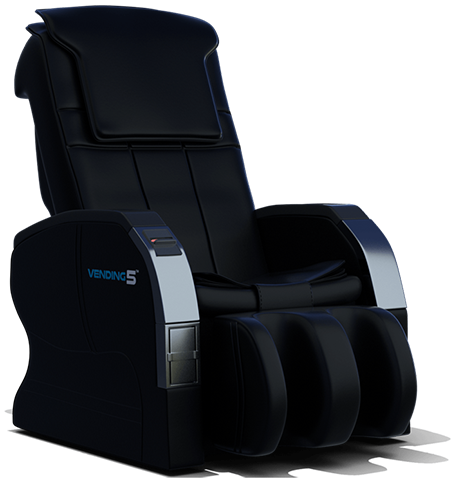 A vending massage chair is a money-making machine that performs well in small and large retail, service and transportation properties. 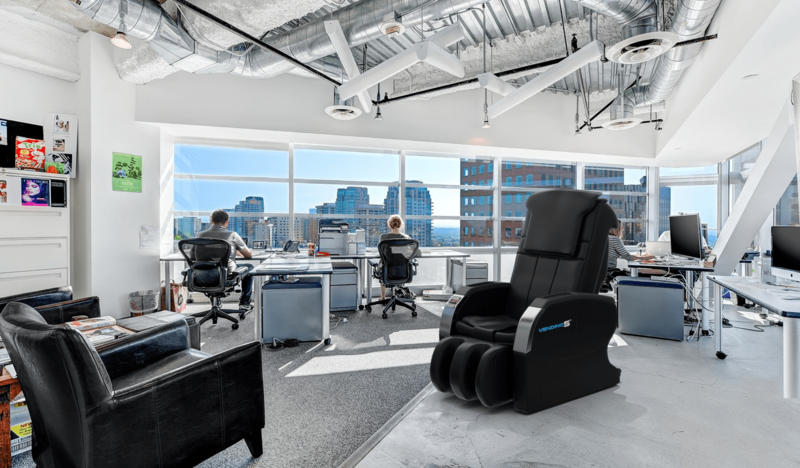 If your business brings in customers by the hundreds or even the thousands everyday, we can assure that you, and your new vending massage chairs from Medical Breakthrough, will be ready. 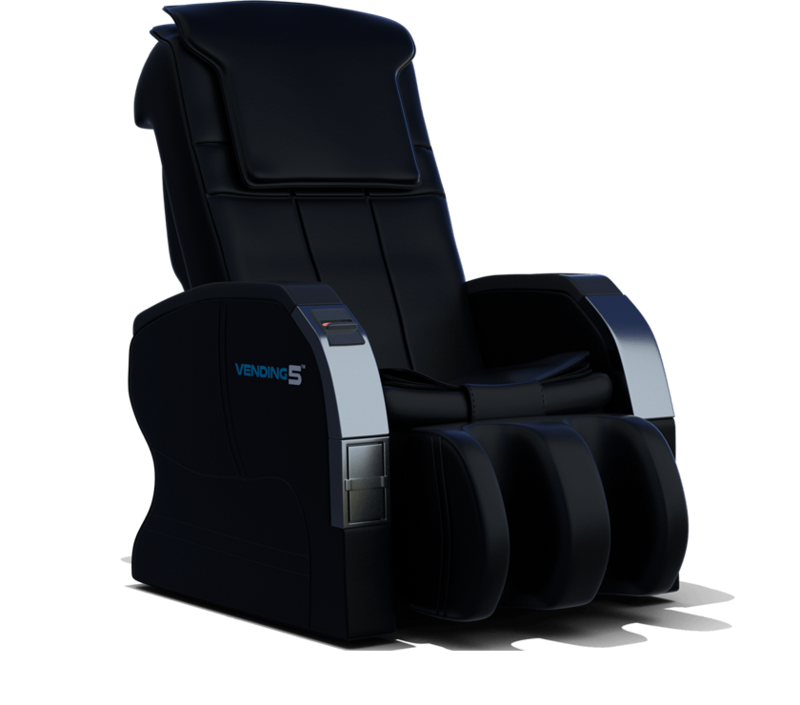 Our Massage Chairs are a combination of luxury and durability that is unbeaten by any compitition to ensure the longevity of your massage chair. 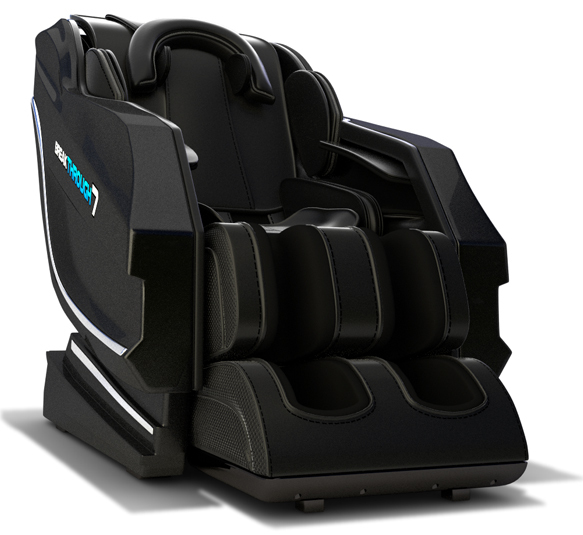 We've reinforced our massage chairs to be built for continuous and commercial use throughout each day. According to many doctors, stretching is an extremely important aspect of life because it can improve energy and balance, relieve pain, and prevent future injury. That's why so many athletes, coaches, and exercise programs recommend stretching on a daily basis. 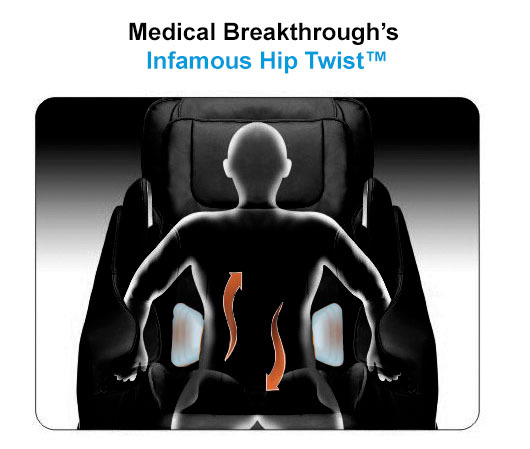 Because stretching your body from side to side is so important, we spent the last 5 years perfecting our World Famous Hip Twist system, something most other massage chairs do not have. So, before you buy a massage chair, always ask if it can twist your hips from side to side and stretch them. Our new system and will rejuvenate you as your hips stretch from one side of your body to the other. 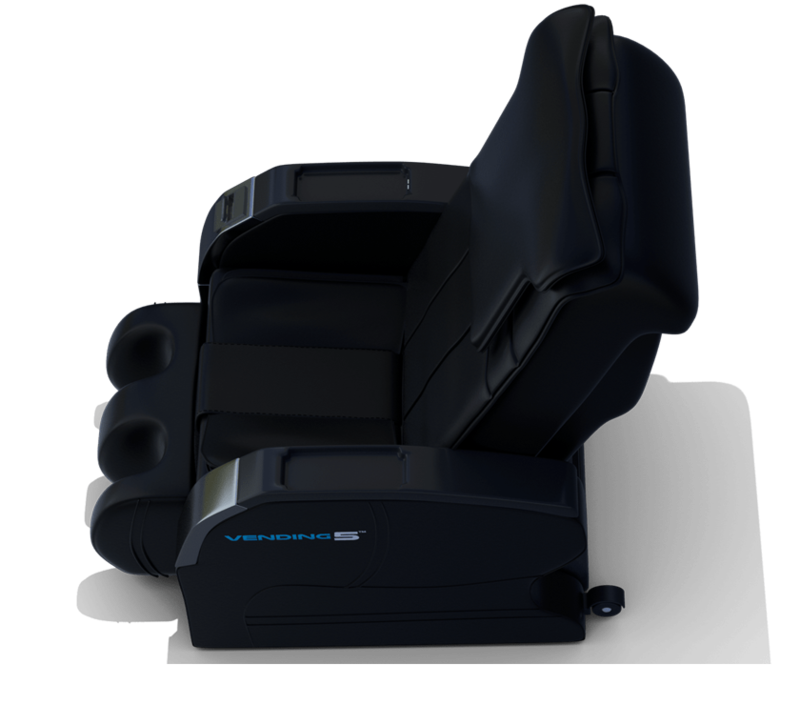 While other massage chairs have simple reflexology foot massage functions, Medical Breakthrough is the first to have a complete Reflexology Foot Massage Therapy System™. 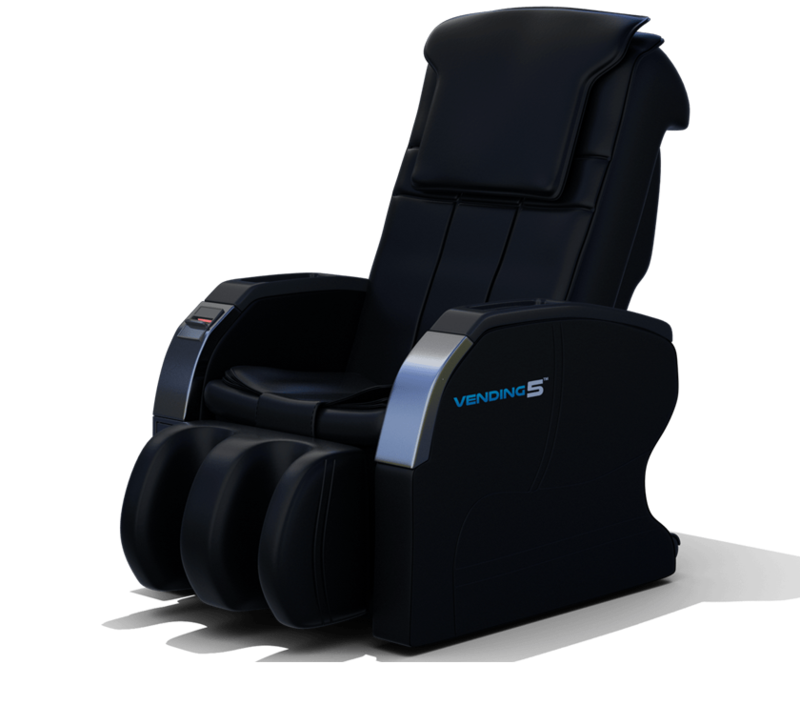 This means that your feet will be massaged in more ways than any other chair on the planet. The specially designed rollers and air cells can massage your feet from left to right and top to bottom, targeting and providing relief to sensitive areas on your feet. 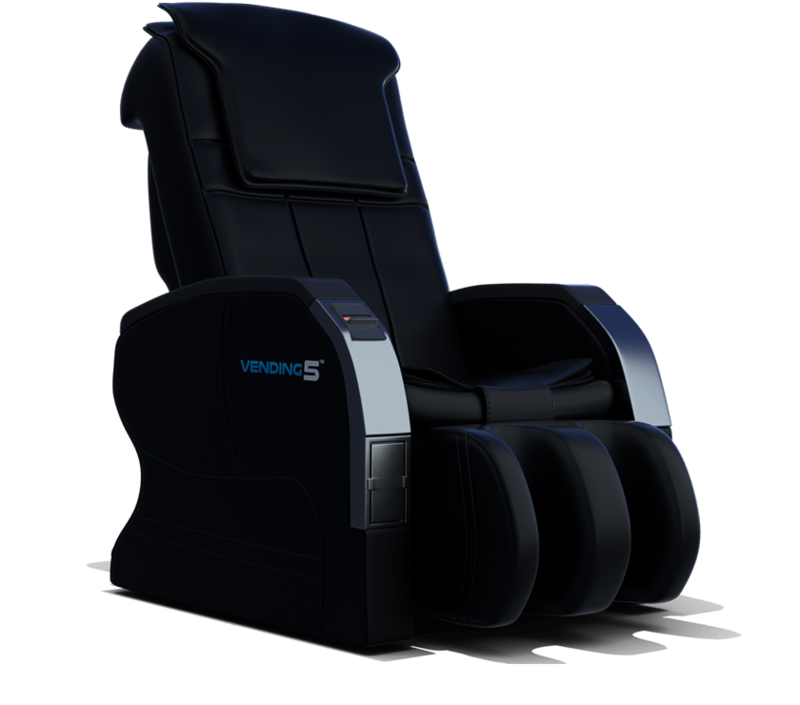 Air pressure is squeezed in and out of the foot massager, while rollers move along the bottom to give you an amazing feeling. 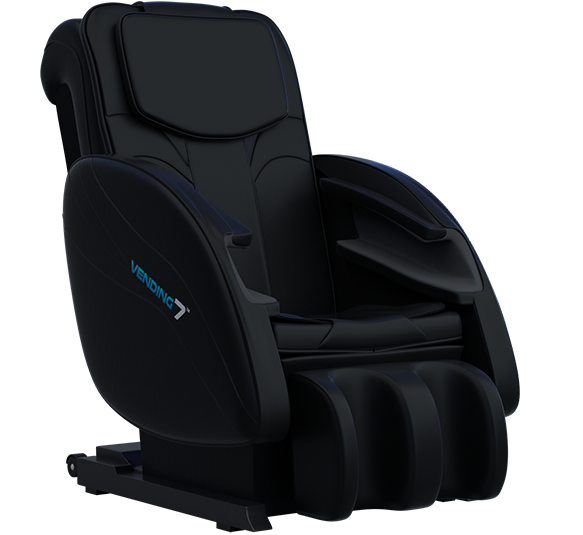 As of 2016, Medical Breakthrough 7 and 8 have more massage air cells and rollers in the feet than any other branded massage chairs. 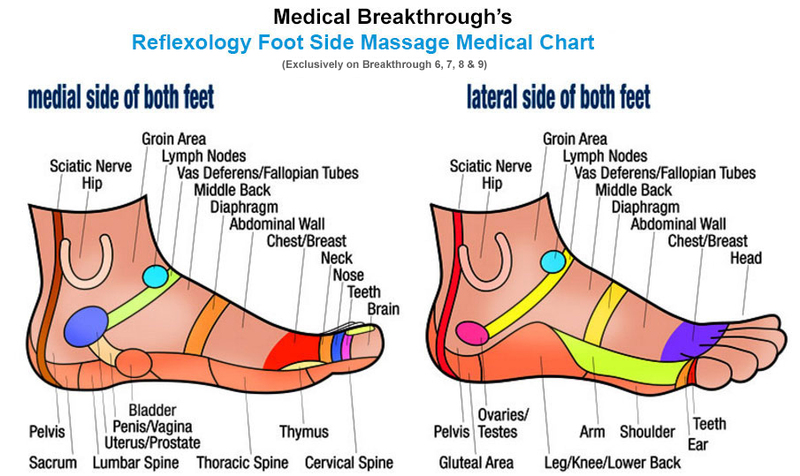 Try them today and see how much better your feet will feel. Hand massages are just as important, if not more so, than foot massages because people use their hands more than their feet. 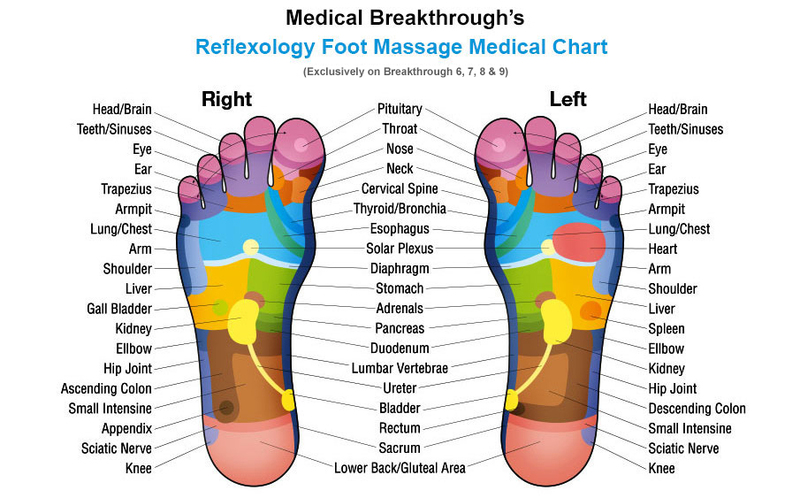 That's why we made the Medical Breakthrough 7 and 8 with more than just regular hand massages—they have our complete Reflexology Hand Massage Therapy™ System™. 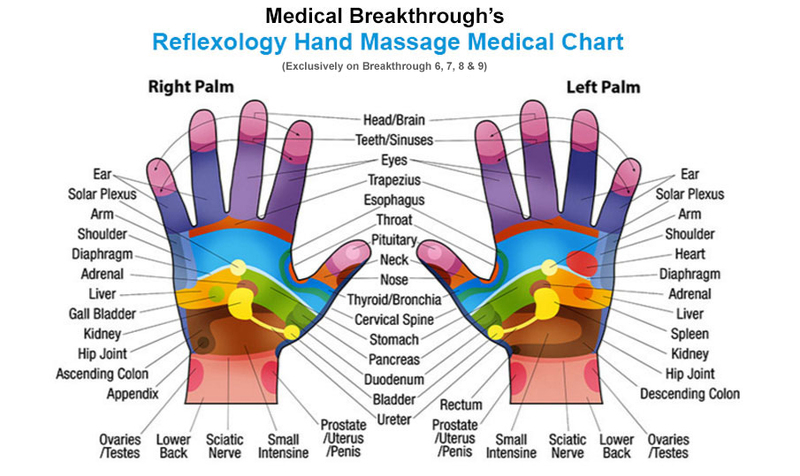 These systems use several different massage techniques to massage your hands from the bottom of your palms to the top of your fingers. This is especially great for people who use their hands a lot because when your hands feel better, your entire body will too. 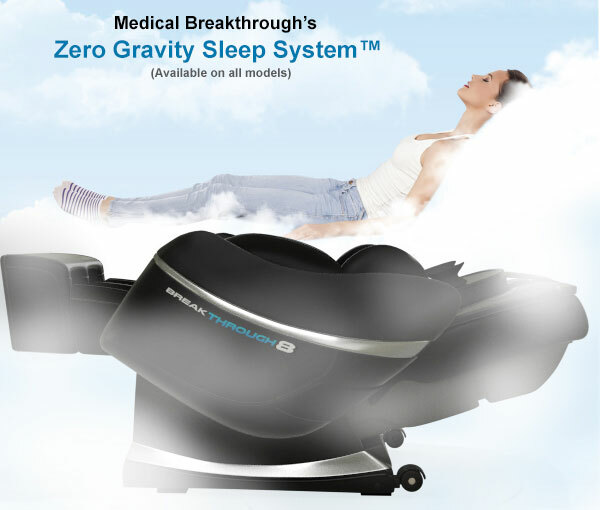 Medical Breakthrough's Zero Gravity Sleep System™ is the first zero-gravity massage chair engineered to help you fall asleep. 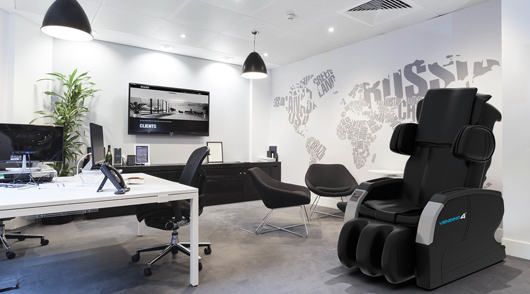 Once you become positioned in zero-gravity by the inflatable air bags, the massage chair will assist you in finding the optimal position for your maximum comfort. Then, it performs a soothing, therapeutic massage to help you drift off to sleep. 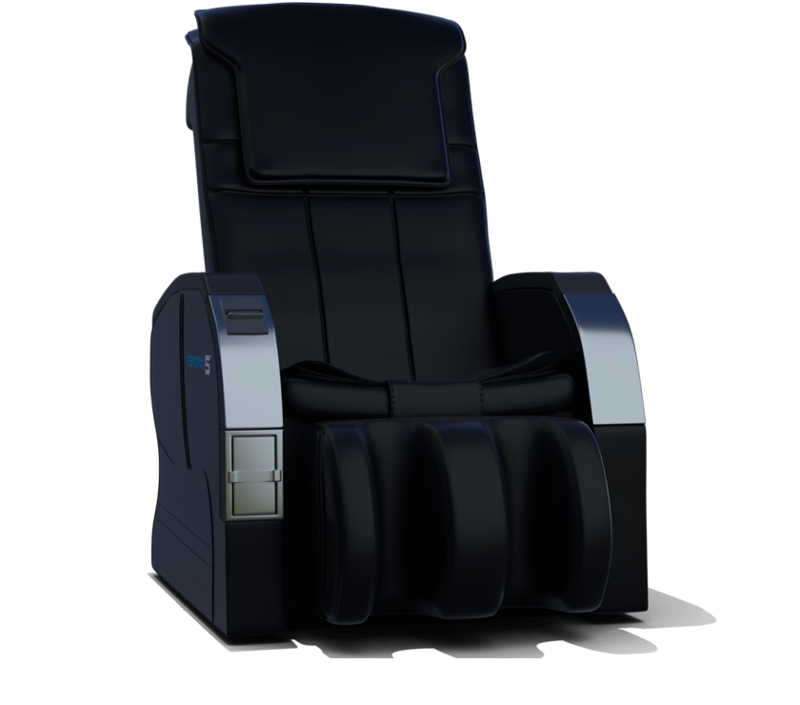 It’s so relaxing it’s never been easier to fall asleep in a massage chair. Medically, the most important side of the body to massage is the back. To the right, you can see a map of the pain points located on the back of the body. 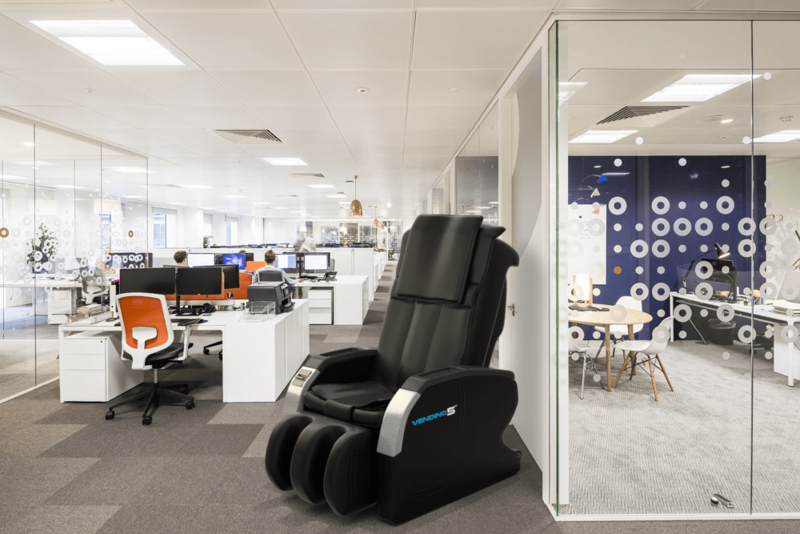 This is why we’ve spent so much time engineering each one of our chairs to massage your back thoroughly from head to toe. 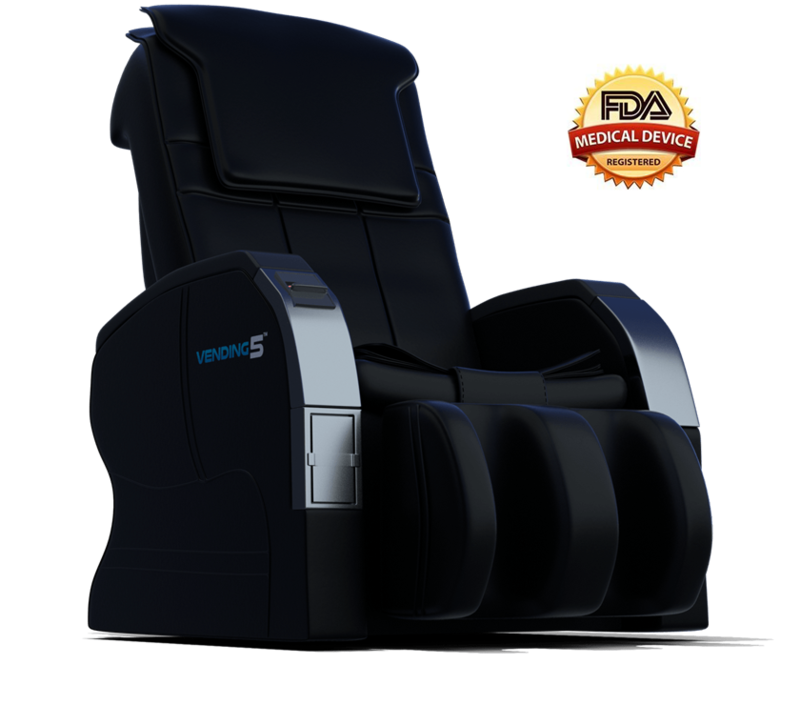 Every Medical Breakthrough chair has been specially designed to target and massage these points, which will make you feel hundreds of times better when you they are given the attention they need. 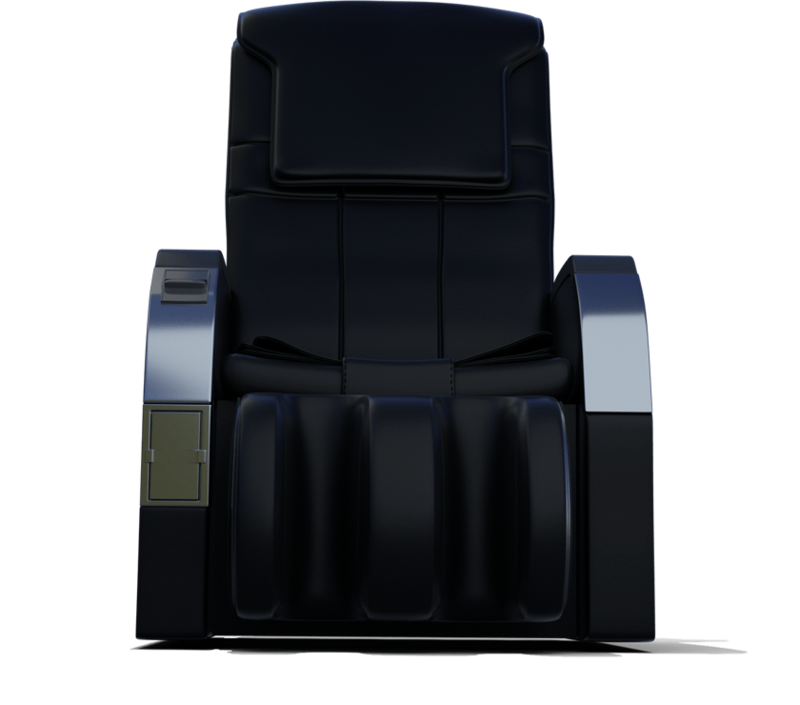 While many massage chair manufacturers claim that their chairs have body scanning features, most fail to work properly. After scanning your body, their systems may still massage you in the wrong places, causing discomfort and pain. Our highly advanced Smart Medical Scan™ technology will detect every part of your body, and deliver a targeted, soothing massage. We designed this system with flexibility in mind since everyone likes different kinds of massages. 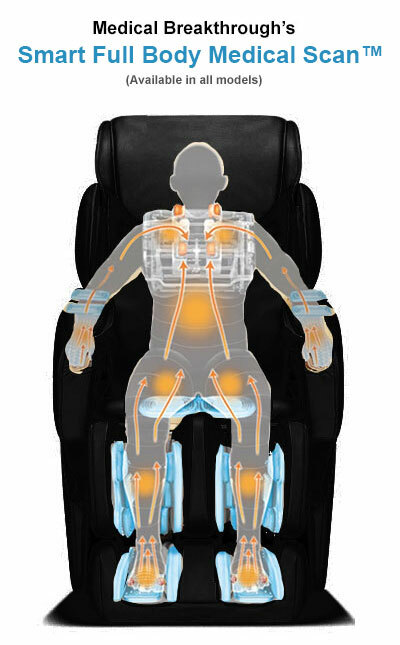 If that is not enough, all Medical Breakthrough massage chairs can be adjusted manually as well. You can adjust the vertical position of the rollers from your neck all the way to your lower back. Because lower back pain is one of the most common problems that our customers have, we prioritized finding a way to alleviate their pain. After over 30 designs, we finally developed one of the most powerful lower back rollers on the market. We call them Intense Lower Back Rollers because they are so strong. 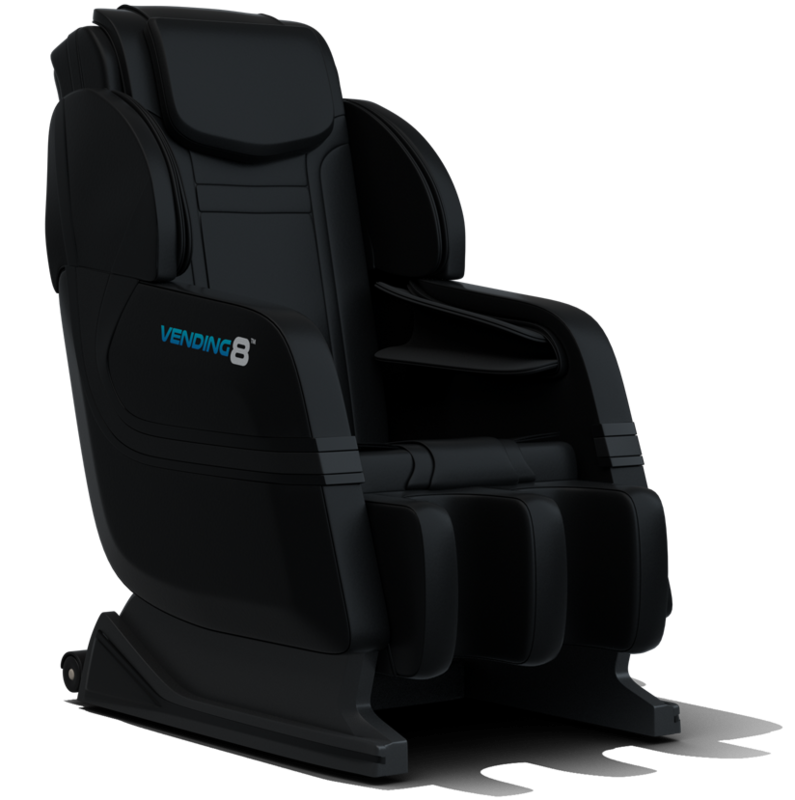 They can work out the stiffness and kinks in your back that other massage chairs simply can’t. Just use it for an hour a day and you will feel like you have a completely new back. 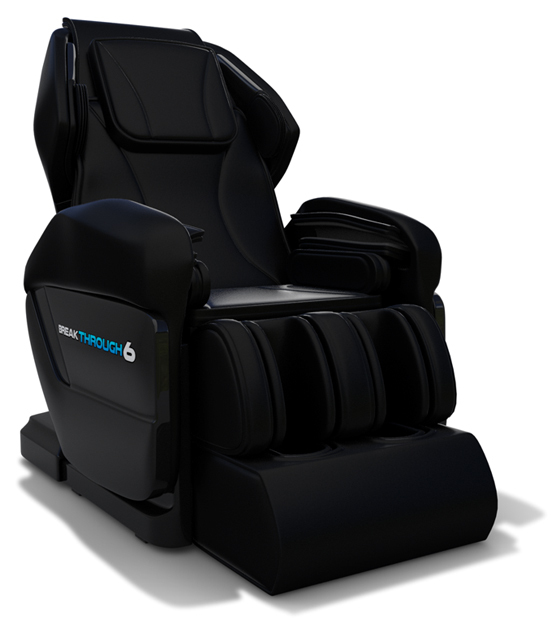 Most massage chairs don’t really have a 3D massage system, despite their claims. 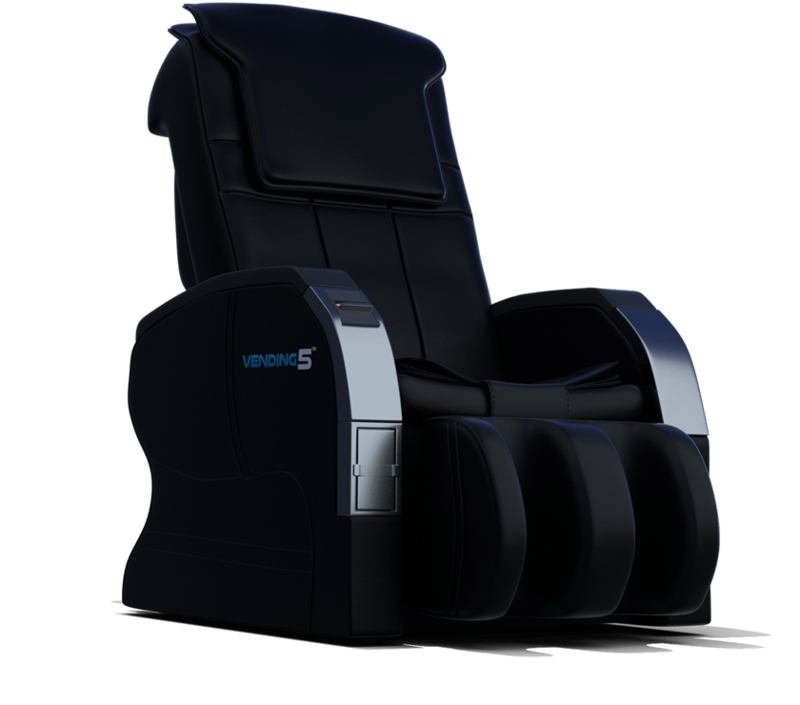 Many don’t even know what 3D massage really means, but our True 3D Deep Tissue Massage System™ means True 3D. This means it performs extreme deep tissue massages along your back and around your neck in the shape of your spine. The specially designed massage rollers protrude deep into your neck, back, and lower back to ensure that your whole body can enjoy the healing potential of a massage. Our True 3D Deep Tissue Massage System™ is so effective, you will feel like a brand new person after even the most stubborn stiffness is massaged away. 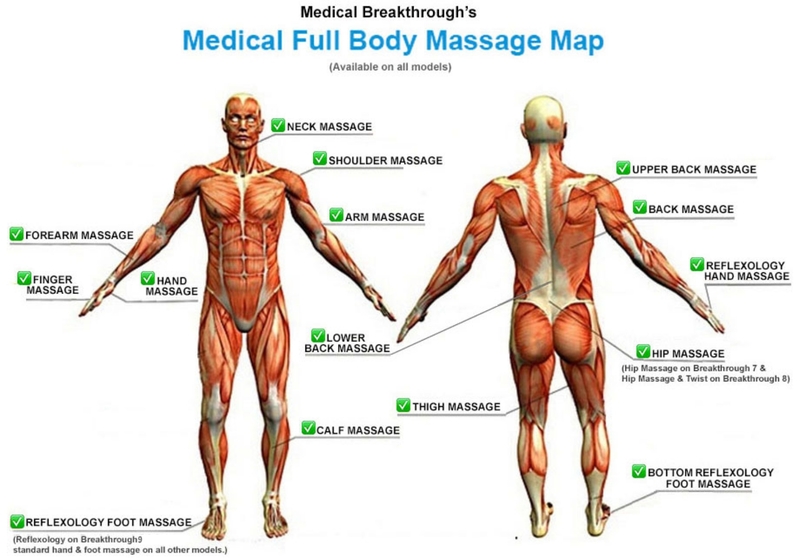 What does Medical Breakthrough Massage? 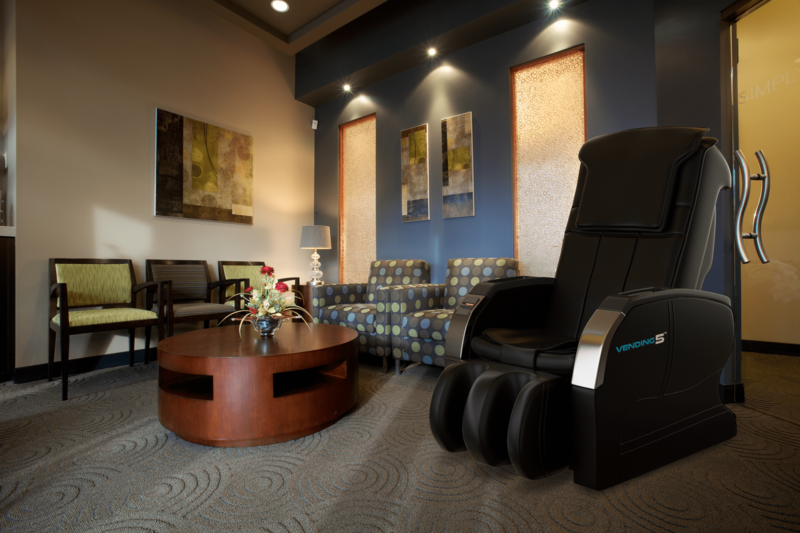 What are the Medical Benefits of Breakthrough Massage Chairs? 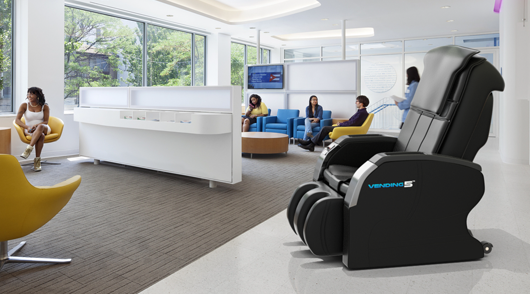 Medical Breakthrough chairs are more than just massage chairs—they were designed to help heal your body. 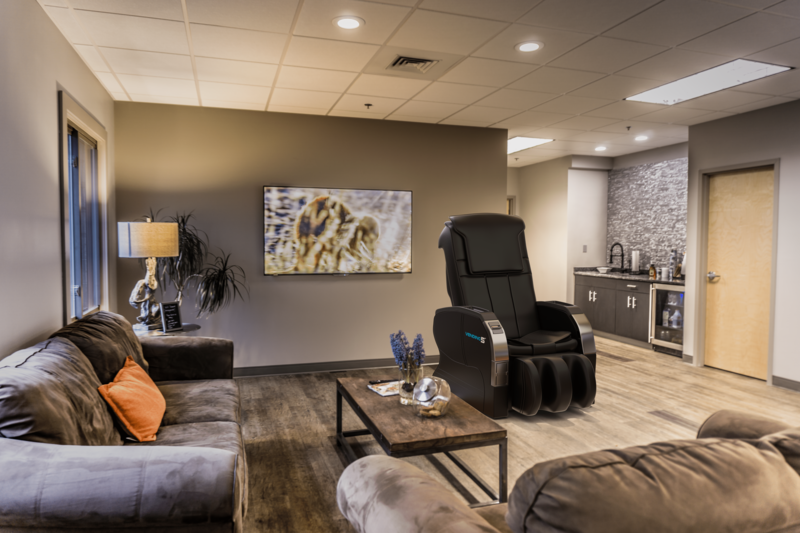 Because of all the doctors that came together to help make Medical Breakthrough Massage Chairs possible, and their 100+ years of combined experience, you can be confident in the medical benefits you will receive from a daily massage from one of our chairs. 1. Are there speakers on the chair? Yes, Breakthrough 6 has 2 speakers, on the right and left side, right next to the pillow pad. 2. How many boxes does it come in and is it easy to install? This chair comes in 2 large boxes. 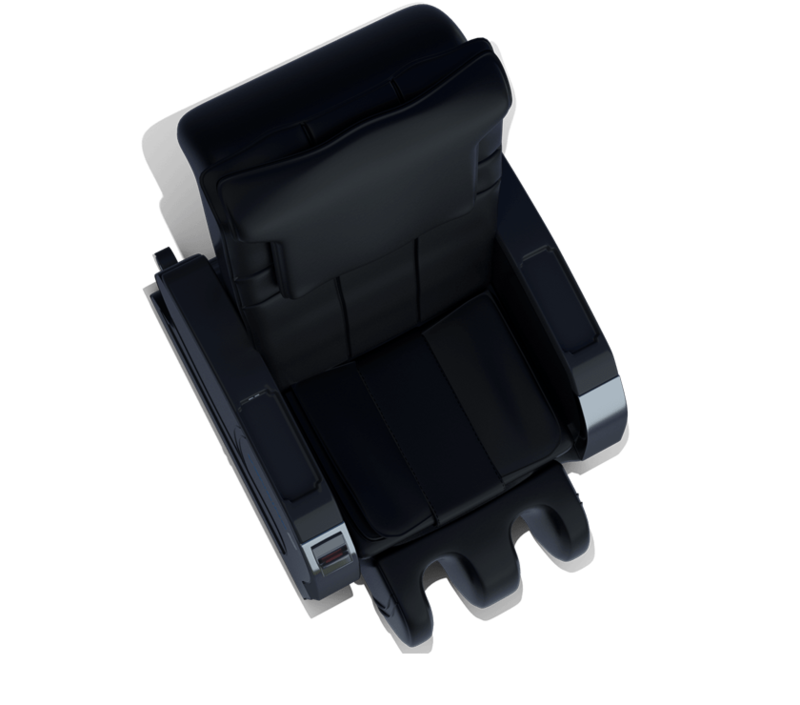 There are easy to follow instructions so you can easily install the chair. If you get stuck at any time you can call us at 818-270-3163 and we will have one of our technicians help you get it installed. 3. Is this a chair you can sit in for every day use too? Yes it is very comfortable. Just adjust all the settings to fit you perfectly. That's what the extreme customization is made for. 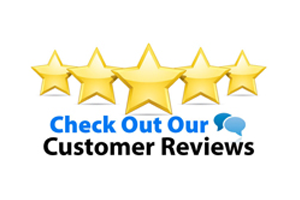 To help you decide for yourself how effective Medical Breakthrough 6 is, we have listed REAL, UNCENSORED, UNEDITED reviews, emails and comments from customers who have paid for and used Breakthrough 6. I ordered the Vending 5 chair for my business and my customers love it. I’m constantly noticing more and more people flock over to it. It’s really helped generate more foot traffic around my storefront! 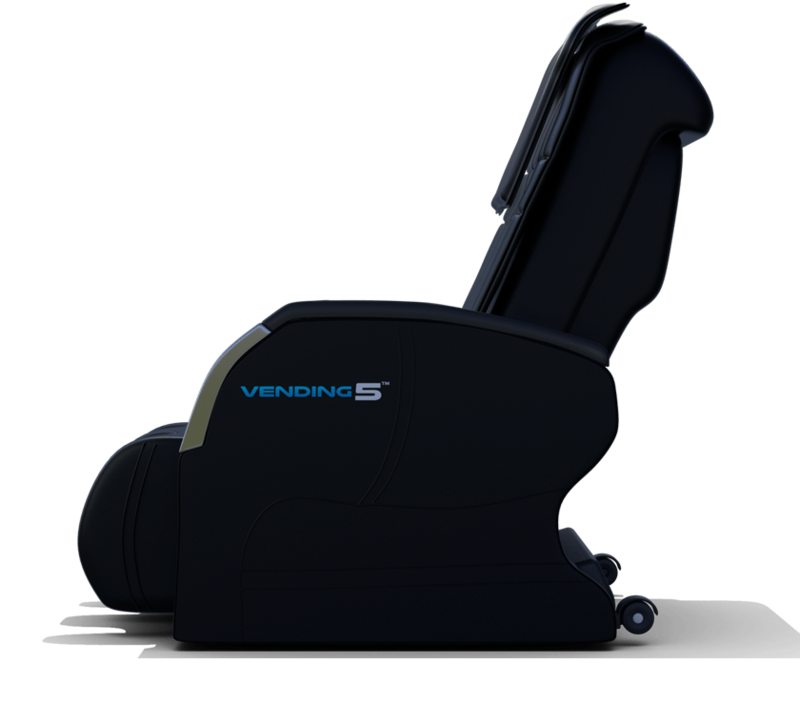 The Vending 5 is growing to be the most popular thing to do at my new shopping center. I’ve noticed that when there is a group of shopper and one person tries the chair, they rave about it so much that everyone else has to try it. 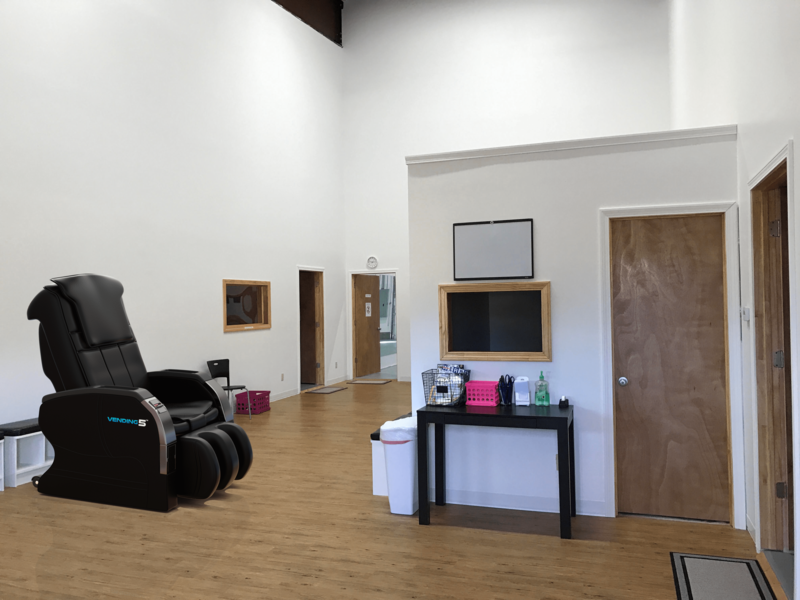 The new massage chairs we bought for our small auto body shop has been a great addition to the customers we have coming in to our waiting room. The shipment came fast and we even got the white glove delivery to get the chairs set up the same day. Kids and parents love to use them while they wait. Couldn’t be happier with my decision to get this chair. My customers love it, and to be honest, I do too. Great chair! Very attractive to people in the area who have been on their feet all day shopping and dining. From CNN, to Dr. Oz, to Dr. Mark Hyman Rapaport to Dr. Brent Bauer at the prestigious Mayo Clinic, every day more and more doctors are seeing the benefits that massage therapy can provide for their patients. But because of the high cost of massage therapy and the high number of sessions needed, getting massage therapy on a daily basis proves to be too expensive for most people’s budgets. That's why we put so much of our valuable time and resources into making a Medical Breakthrough massage chair. 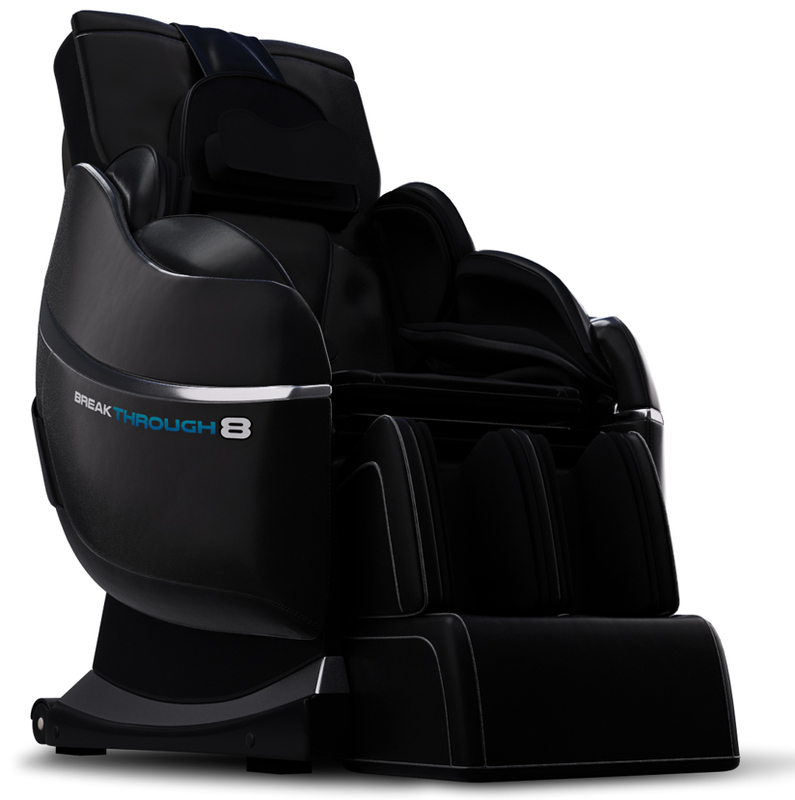 Breakthrough 8 is a revolution in massage therapy technology. 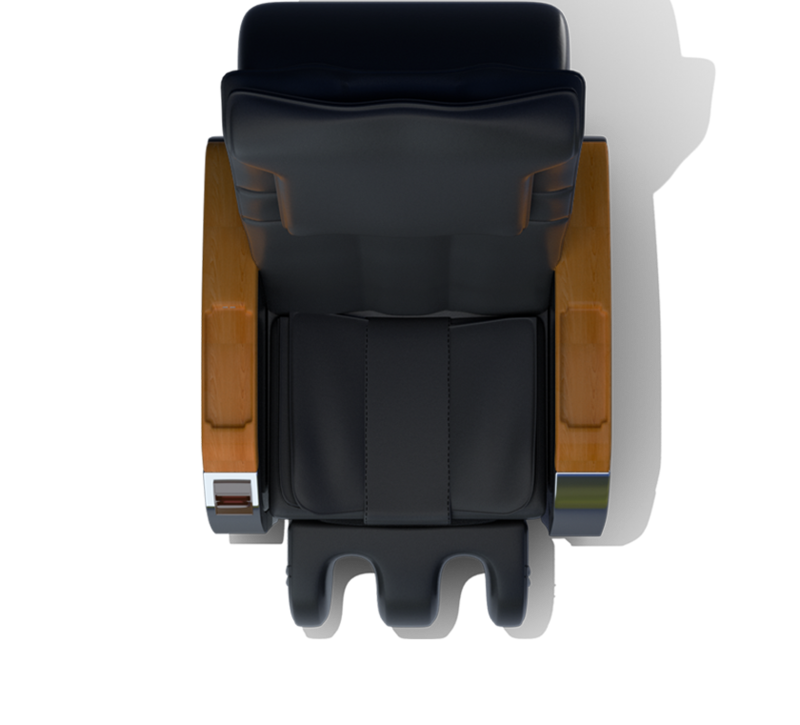 It is the first chair medically engineered to help fix your posture, reduce pain throughout your entire body and help you fall asleep. It's made to be used on a daily basis to help improve your mind, body and health.